The SpaceX founder details how he plans to get us to the Red Planet in a new publication by peer-reviewed journal New Space that’s available for anyone to review. 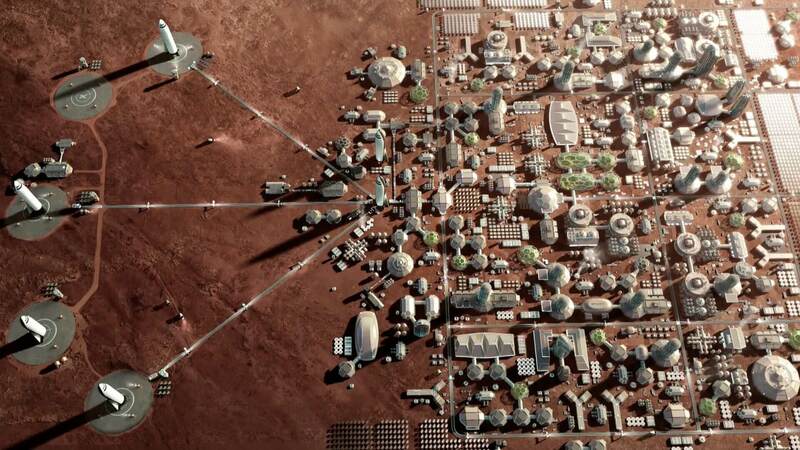 Elon Musk’s latest plan to colonize Mars is now officially part of the academic literature. A summary of the SpaceX and Tesla Motors CEO’s presentation at the International Astronautical Congress in Australia last September has been published in the peer-reviewed journal New Space. The journal is making the entire article available for free on its website. The 2017 presentation was actually a revision of Musk’s original audacious Mars vision from the previous year’s meeting in Mexico. New Space also published a summary of that 2016 presentation, but it’s currently behind a paywall. The latest plans offer an update on the development of the SpaceX “BFR” rocket that Musk hopes will ferry about 100 people at a time to the red planet. He also explained how how he hopes to finance his Mars ambitions by using BFR for all sorts of other uses, from resupplying the International Space Station to moon landings and collecting old satellites and other space junk. Musk said the rocket could even be used for commercial super-fast international flights, via space. There are still a daunting amount of details to work out before anyone sets foot on Mars, but since making his latest presentation, Musk has made progress. You may have heard that SpaceX finally launched its long-awaited Falcon Heavy rocket — a bridge model of sorts between the Falcon 9 and BFR — and that it was a roaring success. Can’t wait to see what the next Mars update holds.